It’s time for the year-end Holiday Potluck/Celebration of another year of fierce struggle by activists in our beloved Detroit! 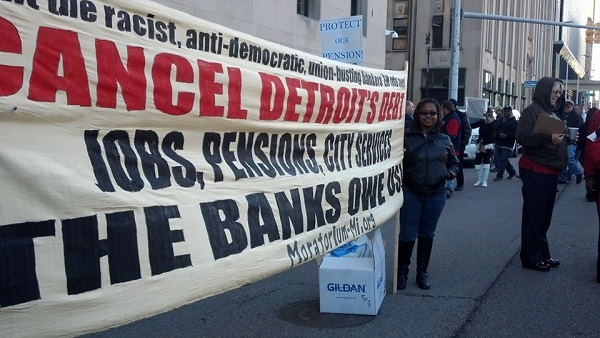 Workers World Party, along with MECAWI (Michigan Emergency Committee Against War & Injustice); the Moratorium NOW! Coalition to Stop Foreclosures, Evictions & Utility Shutoffs; and the Stop Theft of Our Pensions Committee, invite you to an evening of celebration, remembrance, struggle & social camaraderie. Please join us on Saturday, Dec. 21, 2013, from 6 p.m. to 10 p.m., at 5920 Second Avenue, Detroit, MI 48202, for food, drink, music, entertainment, short speeches, great company & more! If you can, please bring a dish or beverage to pass. For more information, please call 313-680-5508.